Filmmaker Michael Moore is praising an Army private suspected of releasing classified war records to WikiLeaks and said he would contribute to his defense. 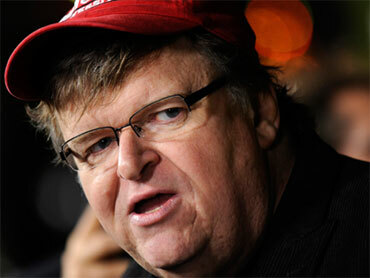 Moore tells The Associated Press in an interview that he considers Pfc. Bradley Manning a courageous patriot for exposing what Moore called "war crimes." The Oscar-winning filmmaker said Thursday he will contribute to a legal defense fund for the 22-year-old former intelligence analyst, who faces up to 52 years in prison. Manning is charged with leaking video of a U.S. Apache helicopter attack that killed 11, including a Reuters news photographer and his driver. Investigators call Manning a person of interest in the release of 77,000 Afghanistan war logs that WikiLeaks published online in July.